Dr. Michael Holloway, a native Floridian from Orlando, received his B.S. and M.D. degrees from the University of Florida. He attended Duke University for a surgical internship and in 2003 settled in Ocala and shortly thereafter acquired and fully renovated the facility that is now known as Lifestyle Solutions MedSpa. 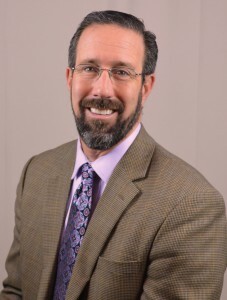 For the past several years Dr. Holloway along with his wife, Shannon, have dedicated themselves to expanding the quality of services, staff and facilities in order to provide the best programs and successful outcomes for those patients who are in need of their help. Dr. Holloway brings more than just a medical perspective to his patients; at the age of 14, he began an athletic career as a pole vaulter that would end up taking him on an incredible journey over the next 13 years of his life. He competed for the University of Florida achieving five SEC Championship titles, still holds school records and still holds the highest vault in Florida state history at just over nineteen feet. 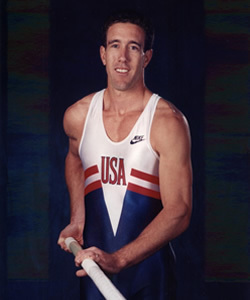 He competed in the 1992 and 1996 U.S. Olympic Trials and traveled extensively throughout the world representing the U.S. in many international competitions. In 2003, Dr. Holloway was inducted into the University of Florida Athletic Hall of Fame. Throughout his athletic journey, Dr. Holloway was constantly working to find the ideal balance of fitness and proper nutrition in order to maximize his performances. Combined with his medical knowledge the years of athletic experience provide a unique and successful combination that serve to benefit his staff and patients. The MedSpa concept with a specific focus on helping people achieve a “Healthy Lifestyle” is nothing new to Dr. Holloway. While living and training in Houston, TX in the early 1990s, Dr. Holloway realized that there were very few, if any, physician-supervised weight loss programs available to help people lose weight the right way, by working towards achieving a “Healthier Lifestyle” rather than typical “Diet” fads. It would take ten more years for him to finally make that vision a reality, and today, clients from all over central Florida come to Ocala to benefit from the successful programs that have been established at Lifestyle Solutions Medspa. The programs focus on much more than just weight loss, they also help people achieve and maintain healthy skin and overall appearance through many treatments and procedures that the MedSpa offers. Dr. Holloway is a member of the American Society of Bariatric Physicians, which is the area of medicine that specializes in weight management. He regularly attends conferences and seminars to ensure that he remains on the cutting edge of new information so that he may best serve his patient’s needs. As Co-Founder and CEO, Shannon Holloway is the day-to-day leader of Lifestyle Solutions MedSpa. She brings years of professional and personal experience to the practice. Excellence in customer service is one of her top priorities, and she is highly involved in the daily operations. This includes leading the execution on overall marketing strategies, managing core partner and vendor relationships, staying involved in community events and advising on all office designs. Additionally, she is responsible for special office events and spa parties that help to make Lifestyle Solutions uniquely appealing. Having worked in the customer service industry for years, Shannon seeks to achieve well-rounded prosperity for the company, as well as the utmost in customer satisfaction, by providing enthusiasm, forward-thinking vision, and a commitment to excellence. She leverages her personal success as well as her passion for motivating and developing team leaders to ensure that the practice is properly represented to our clients. She is genuinely concerned that every patient, no matter what the service, receives the best possible experience and enjoys the most successful outcome possible. Shannon has an eye for detail, and she is driven to develop action plans that can raise the bar for Lifestyle Solutions MedSpa. 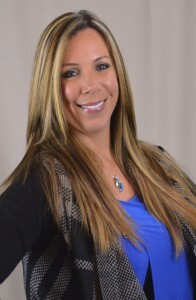 Her extensive medical and spa experience provide the perfect background for handling the diverse challenges of the practice, from researching and implementing some of the latest state of the art medical and spa equipment to showcasing their top of the line, result oriented skin care products to providing exceptional customer service to everyone who walks through their door. With her lively personality she ensures that both the weight loss and spa clientele receive the optimal patient experience. She also strives to motivate the Lifestyle Solutions team by keeping everyone laughing, growing, and achieving their goals. You’re going to want to look for a doctor and a program that can help you meet your goals and support you through this lifelong journey toward improved health and well-being. Some of the ways you can determine whether a physician is right for you is to talk to them about your plans, your difficulties reaching your goals, and any questions or concerns you might have. In addition to making you feel comfortable and capable, the doctor should be able to discuss their educational background and training, reveal what makes their practice’s approach effective, and begin to develop a personalized treatment plan for you. The physician that leads the program is only one person, so be sure and ask about the other professionals you will be working with and whether they are qualified. Who sets the weight goal? What is the average weight loss among people who finish the program at one year? What is the total cost for treatments, meals, and/or supplements? With this information, you should have a good idea of what to expect and whether a particular weight loss physician or program is right for you.